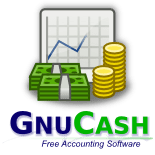 GnuCash is a free accounting platform designed for small businesses and freelancers. This open-source tool can be downloaded and installed on different types of operating systems and is used to track expenses, income, bank accounts, and more. In this article, we cover user reviews. Ready to get started with GnuCash? Sign up for an account. Users who gave GnuCash a positive review appreciate that it is absolutely free. They also like that it has all the features of a professional accounting system. Users who gave GnuCash a negative review said that it has a steep learning curve at the beginning. Some noted that the mobile version needs work in terms of integrating with the primary data file. One user who reviewed GnuCash on Capterra said that individuals who are not familiar with other accounting programs might have trouble adjusting to the software. She added that small tasks, like printing the summary of sales for the day, can be tedious to learn. GnuCash is open source and free for download on any operating system. Similar software with paid services cost around $10 to $150 per month, depending on the features included. Ready to get started with GnuCash? Sign up for an account. 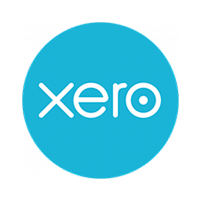 10 Best Accounting Software for Small Businesses — The best accounting software for small businesses should be affordable, easy to use, and allow you to easily track income and expenses. 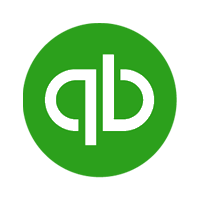 In this guide, we looked at over two dozen accounting software and narrowed it down to our top 10. Does GnuCash have a mobile version? Yes. GnuCash has a mobile app for Android devices, GnuCash for Android, which can be used to monitor financial transactions while on the go. This data can be imported into the software’s desktop version later. What operating systems are compatible with GnuCash? GnuCash is compatible with Mac OS X 10.8 and earlier, Linux, and Microsoft Windows XP, Vista, 7, 8, and 10. Not sure if GnuCash is the right fit for you? Read our reviews of all top accounting software providers or check out one of these three GnuCash competitors. At the top of the list in what GNUCash does well is offer a completely free and open-source program. There are no fees whatsoever to use this accounting software. Following price is privacy. Your financial information is stored locally, so you won’t have to worry about the developers having access to sensitive data. Setup wizards, or built-in step-by-step assistants, guide you in creating new books, budgets, entering business information, and creating your preferences for bill, customer, employee, and other number formats. You can store vendor, employee, and client information. You’ll have to either manually enter all the data needed, or you can import via CSV of QIF files. In addition to allowing you to perform double-entry accounting with transaction tracking across as many accounts as you’d like, GNUCash offers you the ability to create invoices, schedule transactions, and manage billing. Plus, there are dozens of helpful reports, including profit and loss, general ledger, cash flow, and payable aging. If you have the patience to learn the system, there’s a wealth of information in the tutorial under the help tree. Otherwise, if you run into an issue, you can contact developers in an IRC channel, a chat client, or just search the internet with your issue to find how others solved the problem. GNUCash offers mobile functionality on Android devices, though not iOS, and the mobile interface is more attractive than its desktop counterpart. GNUCash isn’t going to win any beauty contests. The UI/UX is lacking in intuition, and its appearance is outdated. More importantly, the system is slow. You might notice the desktop application locking up when you run a report. Be patient as it draws up the report – it’ll come eventually. Although this is a simple program, it isn’t exactly easy to use. GNUCash doesn’t offer much by way of automation. It’s a checkbook-style of bookkeeping, so it should look familiar to anyone who has had to manage the books. Figuring out where everything is and how to perform a function you want can be frustrating at times. Plus, support for GNUCash is hard to come by, unless you hang out in the IRC channel the developers frequent. This is more of a do-it-yourself approach to accounting, but only if you already know what you’re doing. While competing accounting software offer plenty of integrations, such as with point-of-sale (POS) software, enterprise resource planning (ERP) software, and more, GNUCash offers none to consolidate or streamline workflows. Quicken documents can be imported, though. Syncing data between the GNUCash Android mobile app (there is no iOS app) and your desktop version requires you to export and import QIF files, which makes for a tedious process. This is not cloud-based software, so you won’t be able to ever have a real-time view of your finances. You’ll have to manually update and reconcile transactions constantly for accuracy. The value of GNUCash is that it’s a safe program for you to store your financial information and it automates calculations for you. It’s more than an upgrade from a spreadsheet system, but it doesn’t offer live support. You’ll likely need to devote a bit of time to learning the program, and it’s not the easiest software to use.